The blockchain is undoubtedly unique and the most advanced technology of the 21st century. This fast-growing technology is so amazing that its actual potential is yet to be uncovered. The best thing about blockchain is its ability of carrying out large and so many transactions at a time. The feature is coupled with security that has made it famous in the finance industry. Financial market is using it at large scale all over the world. This chain has been named as “digital gold” by the tech experts.Cyptocurrency is the subset of blockchain and Bitcoin is the most popular digital currency that has achieved milestones. The expansion of the technology and its usage is considerablein the tech world. 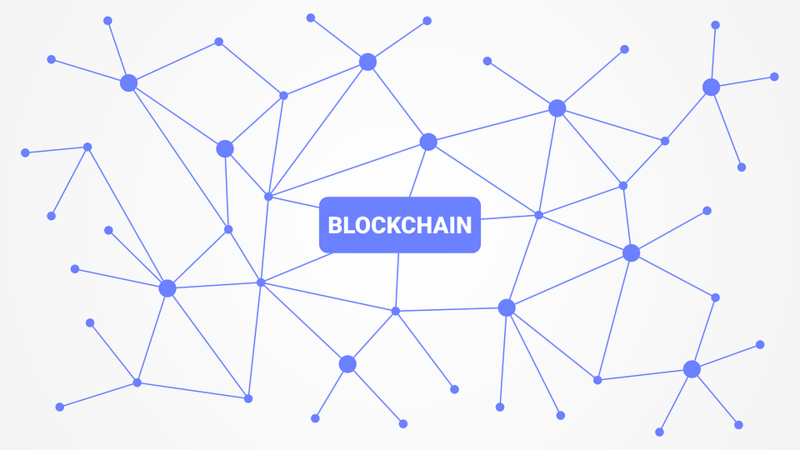 The recent threshold value of blockchain is US $100 billion.This interesting application has come across with a major issue of scalability that is related with the performance. Experts have been looking for the solution to this problem and have come up with the best idea. The issue is related to human error, transaction, complexity, network and security. The most common issue is the human error. The hurdle in the performance is that the information entered in the database of the blockchain need high accuracy and attention. This accuracy depends solely on manual input of information by human beings that increase the chance of error. There is a transaction fee to carry more transactions as in the year 2016 only 6-7 transactions were possible in a second with a fee of around $0.20 on each transaction. It also held 80 bytes storage capacity. Cryptocurrency, on the other hand, has the least fee that is approximately free. Many professionals are passionate at becoming blockchain developers but it is not that easy. Many areas related to it are not explored yet. People are putting efforts to get into it. It works like a distributed system that grows and get stronger at each attack on the system. It demands for a high speed and size to operate for the end-users with a distributed network. This is the important flaw that the system is not perfect all the time as; if a false statement is supported by nodes, it will become dominant and the statement will be considered true. Now have a look on the solutions to the hurdles. The platform is called Zilliqahaving capacity of hundred and thousands of transactions in a second that increases the performance. It supports easy payment through Master and visa cards etc. It has gossip protocol, smart contract language, built-in sharing, high transaction rates. It is famous as Tangle Technology and this solution is based on new approach called decentralized technology. Using this solution is perfect for machine to machine working where the framework is made consisting on nodes that are parallel and spread in all directions. The network work as one node and allow interconnection of the blockchain. This is the platform for the fast transactions at lowest rate with the blockchain. It aims at delivering 500 tps yearly and 15 billion total transactions. It measures the performance and being used commonly for the blockchain. This is developed and launched by Coin Market Cap that make 4000 transactions possible in a second. The Ethereum solutions include Sharding, Plasma and Raiden Network. Sharding distributes the workload over the storage portions called shards. Plasma make hierarchy in the blockchain for the better broadcasting and performance. Raiden Networkallows value transfer to the users using P2P methods. This entry was posted in Uncategorized on March 18, 2019 by Enterprise Mobility. 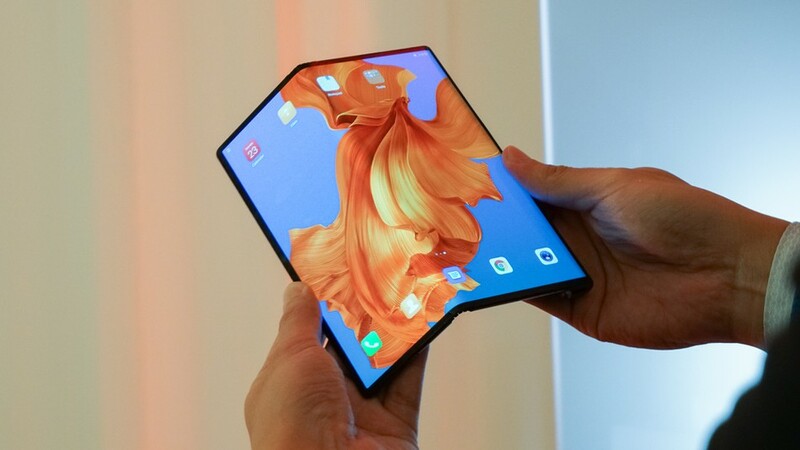 Huawei has introduced the most advanced folding phone after Samsung Galaxy and the manufacturer has confidence that this is the “future of technology” with its innovative design and amazing features. The latest Smartphone has two features that Galaxy did not have. They have named the phone as the fastest 5G design. The Chinese tech has developed it including a number of advantages to make it the best foldable mobile phone with promising features. Mate X has a larger screen size as compared to the previous fold screen of 4.6-inches that the slim exterior had and expands on unfolding. Usually folded screen had the front camera cut out in the right corner on the upper side when unfolded. This one has the larger folded screen and gets closer to the edge of the phone. The screen size of Mate X is 6.6 inches (2,480×1,148) display size of the folded front screen with aspect ratio of 19.5:9. The display size of the folded rear screen is 6.38 inches (2,480 x 892) with aspect ratio 25:9. The unfolded wider screen view is 8-inches (2,480×2,220) and the aspect ratio 8:7.1. The unfolded screen has more content to view and split screen feature to view two applications at a time. The spokesperson of Huawei says that watching the screen unfolding is such an experience to enjoy. He compared that Galaxy folding phone seems like having an incomplete prototype. The manufacturer not only shows off the folded screen size rather it is being 5.4mm thick on unfolded and 11mm thick when it folds into the half. They are proud to present this as the thinnest foldable smartphone any phone could be. The claim is yet to be compared with the other folding smartphone as the dimensions can be better. Another amazing feature of Mate X is its “grip bar” other than the unmatchable screen size. The grip bar is inside the slim body of the phone where “Leica-designed cameras and USB-C port live.” It is best for the firm grip to hold the mobile phone in one hand. You can consider Mate X as rolled up the magazine. Other than the appearance of the folding mobile phone Mate X also has brilliant features inside. IT is powered by the manufacturer’s own “7-nanometer Kirin 980 chip and Balong 5,000 5G modem”. This 5G mobile phone is quick with 5G antenna that is able to download anything with the speed as fast as up-to 4.6 Gbps. It is 10 times faster than the ordinary 4G modems and also 2 times faster than other 5G modems that Samsung has offered before in Qualcomm’s X50 5G and Exynos 5,100 5G. Those mobile phones are capable of downloading with speed of up-to 2.3Gbps. Huawei says that the users can download a movie of 1 GB in 3 seconds connected to this amazing speed of 5G. Mate X is offering 512 GB of built-in storage memory and 8 GB RAM. It also has an excellent battery with power cell of 4,500 mAh that keeps the mobile charged for longer. Furthermore, it also supports 55-watt charging and get charged up-to 85% in 30 seconds. The power button has a dual function with the fingerprint reader. The coolest looking Mate X has much more in its designing. The durability of the mobile phone and the support of third-party apps by Android on the display modes are yet to discover. The battery time of 4,500 mAh is amazing but also to be tested if it status longer. It costs comparatively more than Galaxy folding phone. Mate X is might the best folding mobile phone reviewed till now but this is much more to say. It is also to be considered if people believe buying foldable mobile phone? This entry was posted in android, Mobile on March 5, 2019 by Enterprise Mobility. In the huge market for the Smartphone out there you face up to many fake iPhone. Smartphone is the requirement of the time and many people look to change their phone after a few months. If you are going to buy iPhone for you; you need to be careful to find the original one. The manufacturers of fake iPhone in UAE are gone smart that the fake one looks really similar to the genuine one. You need to be very curious to detect the clone. Especially if you are going to buy it from a dealer rather than directly from Apple you need to check the logo and other indicators attentively. Here is the guide to determine the difference of an original and fake iPhone in UAE. You need guide to choose the genuine out of the plenty fake Smartphone. Read it here and you won’t be the victim. Beware as Frankenphones are the most difficult to detect. It is hard to spot them as Yahoo Tech guides that Frankenphones looks just like original with the real Apple parts and run iOS. Frankenphones are derived from the recycled scarp and this is the main reason to detect this fake iPhone. As you hold the Frankenphones in your hand you feel lethargic software. It is designed taking out the motherboard from the original recycled phone and installing it into another recycled body but the software is sluggish as being old. It is the only way to detect them that is really professional so be careful about Frankenphones. At the back of iPhone you can see IMEI number that is engraved printed just beneath the logo. IMEI number is the International Mobile Equipment Station Identity that is unique for every phone. This serial number is the easy identification of the fake iPhone in UAE. You have to match the serial number printed on the phone and to that in the software. Go to Setting > General > About and check the IMEI number. If both of the numbers don’t match it is the fake one. The original iPhone has one unique IMEI number. Users can also match the unique serial number of the phone set in your hands in the Apple’s online warranty checker. If the serial number entered gives error or show the details and image of other model you have got a fake in your hands. In the setting of your phone you can find serial number just above the IMEI number. 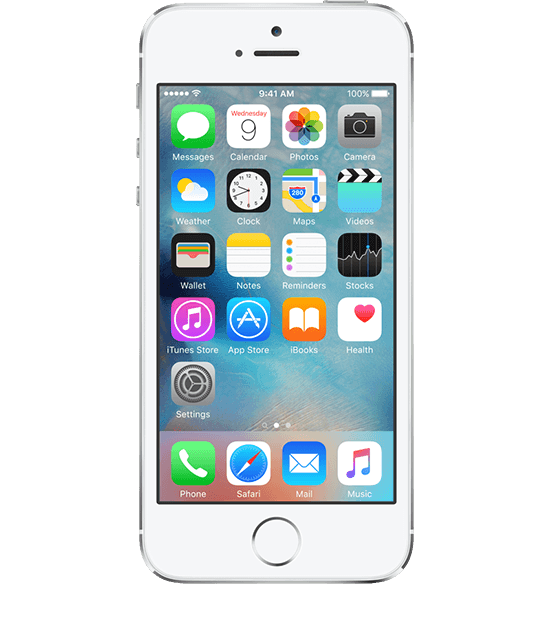 Copy it and go to your phone browser to past it in the Apple’s online warranty checker. You may find Android phones in iPhone clothing. It is easier to detect them as you find apps from Apple App Store not showing up or working or your phone. Whenever you activate a fake iPhone with Android as operating system you can catch the spam at once. They also appear original and have very convincing look; just like real iPhone. Google App Store in your iPhone is the foremost indicator of this type of fake. There are certain other indicators as well that help you finding out the fake iPhone in UAE. Original iPhone is really smart and the fake one feels thicker in your hand. The screen resolution of the fake phone can be lower than original and seem old sometimes. The new iPhone has nano-SIM size slot so if you find a wrong tray for micro; you have got it. The screws of wrong quality, cheaper manufacturing or any difference in construction also signifies the fake iPhone to you. This entry was posted in android, Apple, Mobile on July 17, 2017 by Enterprise Mobility. © 2013 : Enterprise Mobility FZE. All rights reserved.